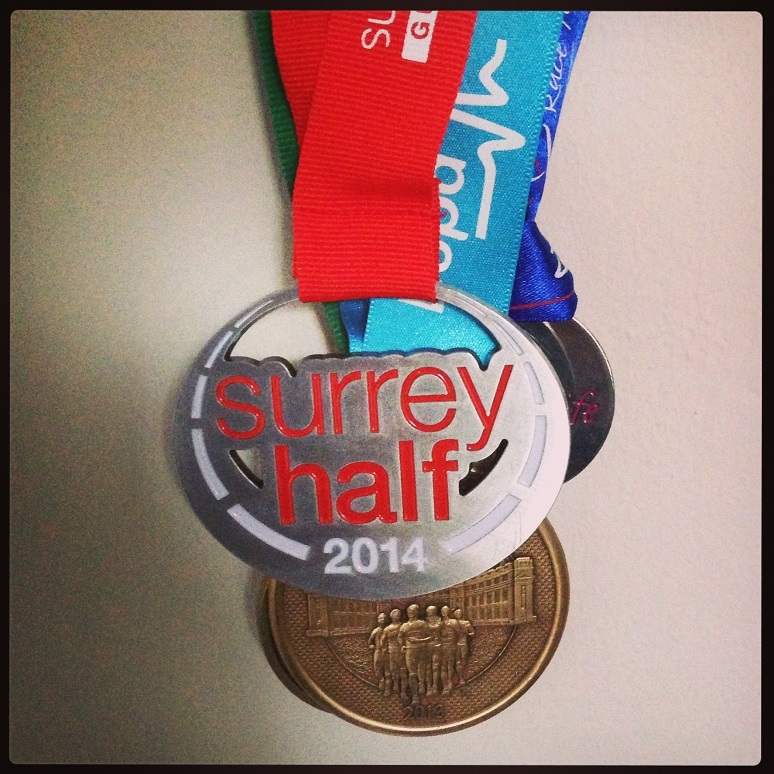 So today is the day, it’s finally here, the day that the Evans sisters run the Surrey Half Marathon – eek! I’m strangely excited about the race. After all we just want to complete it, so that we can say we’ve done it, it’s not about a certain time or speed. It’s about achieving something. So bring it on! Even though I imagine today will involve a lot of nattering to get us through the race, at least if our training and past races are anything to go by, there’s one other thing that is a huge help when I’m running. The music. It’s obvious I know but good music really does make a big difference. Not only is it distracting but it’s hugely uplifting and inspiring. There’s nothing quite like it for spurring you on. So as I’m gearing up for the big race right about now I thought I’d share some of the best songs for race day, those songs that just keep pushing you on. Some will be on everyone’s list I’m sure, but hopefully some of them will be new and perfect for anyone else compiling that perfect running playlist! Roar – Katy Perry: A classic pop song that has a brilliant chorus. I defy you not to speed up when this song appears on the playlist! Just Stand Up – various: This song is super catchy and a good old belter, so perfect to run along to as a result. Also the lyrics are about fighting cancer, so to listen to those inspiring lyrics and remember that you aren’t fighting cancer and the pain/hard work of a run will end soon, unlike what many cancer patients are going through is unsurprisingly helpful on a run. So you just keep going. Eye of the Tiger – Survivor: An obvious choice I know. But there’s no denying it’s not great for spurring you on mid-run! Bad Blood – Taylor Swift: This song is the perfect Taylor pop track – there’s a great beat, catchy lyrics and it’s easy to sing-along with. Everything you need for a perfect running track. t’s just a shame I can’t listen to Taylor on my running playlist on Spotify anymore! Keep Your Head Up – Ben Howard: ‘Keep your head up, keep your heart strong.’ Great advice mid run and set to a powerful tune that is perfect to spur you on when the running is getting particularly hard. So tell me, what are your key running songs, which ones keep you going mid run or workout?